Benjamins welcomes to the market, this well presented modern retirement bungalow occupying an attractive end of block position. The property includes woodgrain UPVC double glazing, gas fired heating, through hallway, lounge, fitted kitchen, two bedrooms, shower room, communal gardens and a brick built garage. 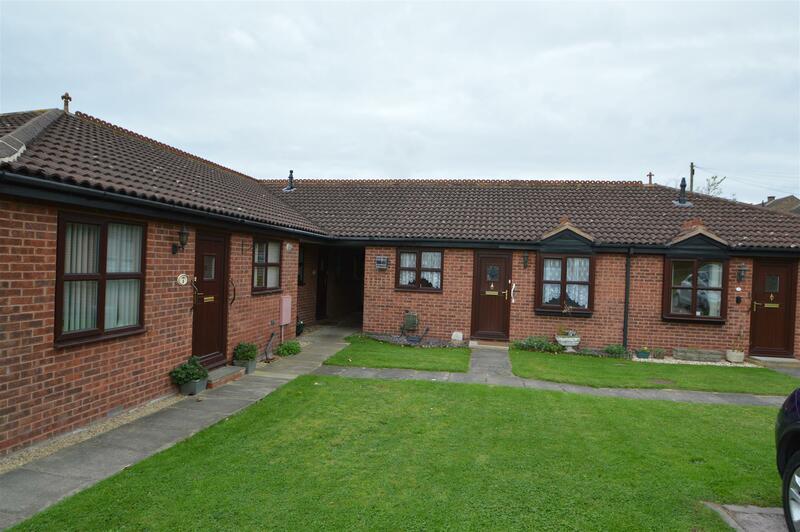 This retirement bungalow is pleasantly situated in a small development of 12 similar properties and is within reasonable walking distance of the village amenities. We would highly recommend viewings to appreciate this retirement bungalow to its full potential. Having a range of wall and base units, contrasting work surfaces, stainless steel sink unit with mixer tap, partly tiled walls and included within the transaction a recently purchased Cannon gas cooker, gas fired boiler, radiator, wood grain UPVC double glazed window with blind and front aspect views. With radiator, fitted carpet, telephone and TV points, decorative light fitting, wood grain UPVC double glazed patio door with rear aspect views. Single bedroom, carpet, radiator, telephone point and wood grain UPVC double glazed window to the front aspect. The gardens are managed by the management company and include various landscaped areas. To the front of the property there is a lawn area with plants and roses. To the rear of the property there is an external light, rockery, plants, drying area, climbing plants. Included within the transaction is a brick built garage which is located nearly opposite the bungalow with an up and over entrance door. There is also additional parking upon the complex. Including a wash hand basin, low flush WC, shower cubicle with a Heatrae Sadia shower fitment, fully tiled walls, radiator, fitted useful twin door storage cupboard.